Your best friend is getting older and whines terribly each time you leave home without him. But do you really need to retire a hunting dog at age nine, 10 or 11? Assuming he's physically sound, there's no reason a dog can't hunt through most of his golden years. But for his safety and your peace of mind, you have to make sure he's as healthy as he can be. 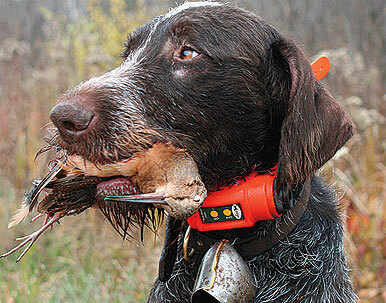 Here are some health care tips for older gun dogs. The first thing to do is get his weight under control. Like people, dogs tend to pack on a few pounds later in life and, also like people, that extra weight slows them down and can lead to all kinds of physical problems. You'll need to do two things to get him to lose weight. The first, and most important, is to continue to exercise him. Take him for runs every other day during the off season, let him play an exhausting game of fetch or take him for a swim. Physical activity will keep him happy and his joints functioning. Then, if he's overweight, monitor his diet. Senior formulas are high in protein, low in fat and have other additives that promote joint flexibility and overall health in older animals. But whether you feed him a senior formula or continue his regular food, cut back his portions. He'll beg for more, but you're not doing him any favors by feeding him until he waddles. Another important health issue in dogs, and one many overlook, is good oral health. This is true with all dogs, but particularly true with older animals. Bacteria from tartar on their teeth can cause all kinds of problems, including gum disease, painful chewing and even heart problems. Buy a dental scraper and learn to clean your dog's teeth yourself, or have your vet do it once or twice a year. When you see a yellow-brown buildup on your dog's teeth, or his breath starts to sour, you'll know it's time for another cleaning. Finally, use care when you hunt him. Many older dogs still have the drive they had when they were puppies, but their bodies can no longer stand the pounding they get from a day spent in the uplands or on a marsh. Hunt him a couple hours, then rest him for a day or two before you hunt him again. You'll both be happier, and he'll be raring to go on your next trip.